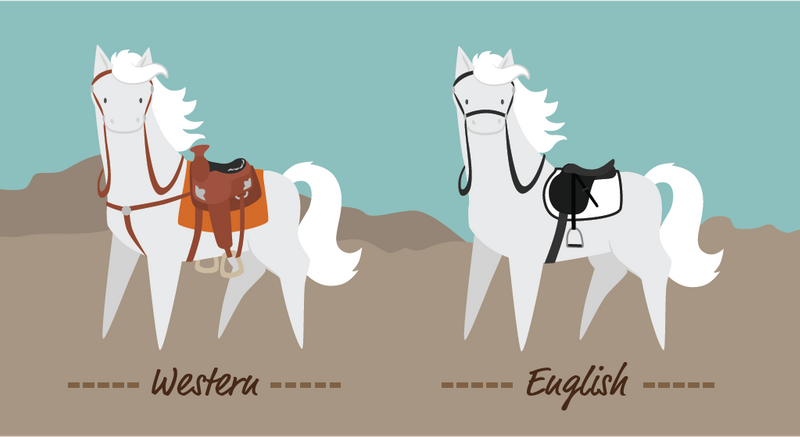 The styles of both Western and English horseback riding are influenced by their origin and feature unique characteristics and equipment. 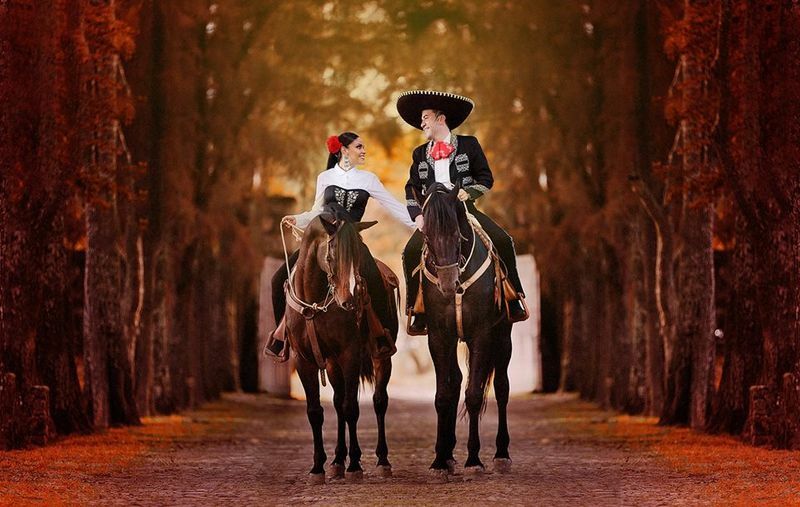 The first difference you may notice is the tack and saddle used. An English saddle is smaller and lighter than the Western saddle and serves to help the rider with dressage and jumping movements, keeping the rider’s body closer to the horse. The Western saddle is larger in size and spreads the rider's weight over a larger surface area of the horse, making it slightly more comfortable and ideal for longer trails. 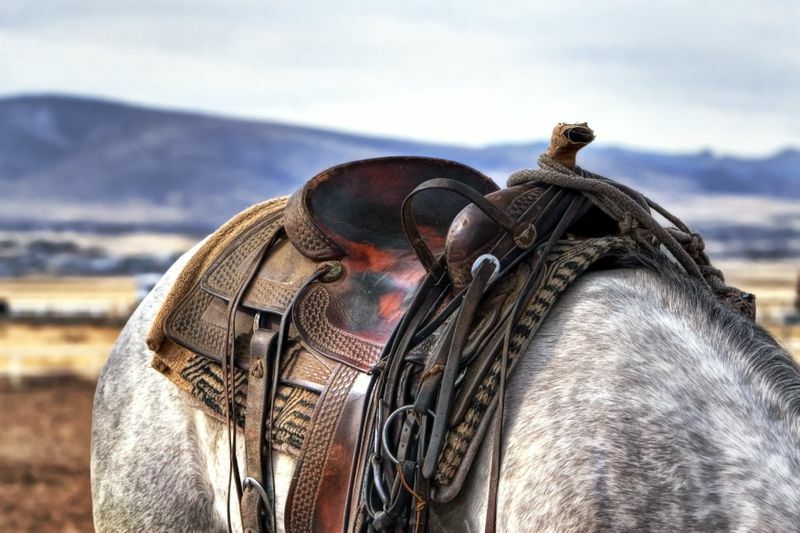 The saddle may also feature a “horn” at the front, which traditionally would be used to wrap the rider’s rope when cattle driving. 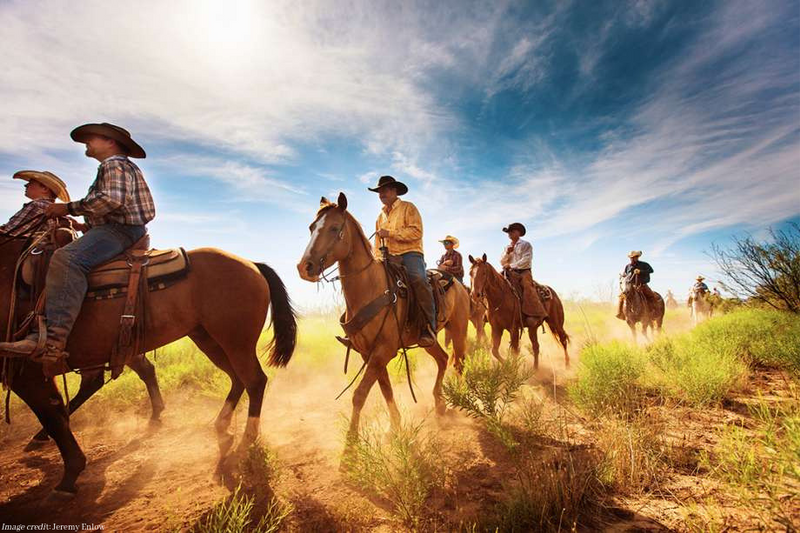 When it comes to riding styles, the main difference is that in Western riding, you will hold the reins loosely in one hand, leaving the other hand free at your side or ready to rope in the cattle! It’s the cowboy riding style you often see when you’re on a ranch vacation in the USA. In English riding, the reins are held with both hands, giving more control of the horse at the bit. 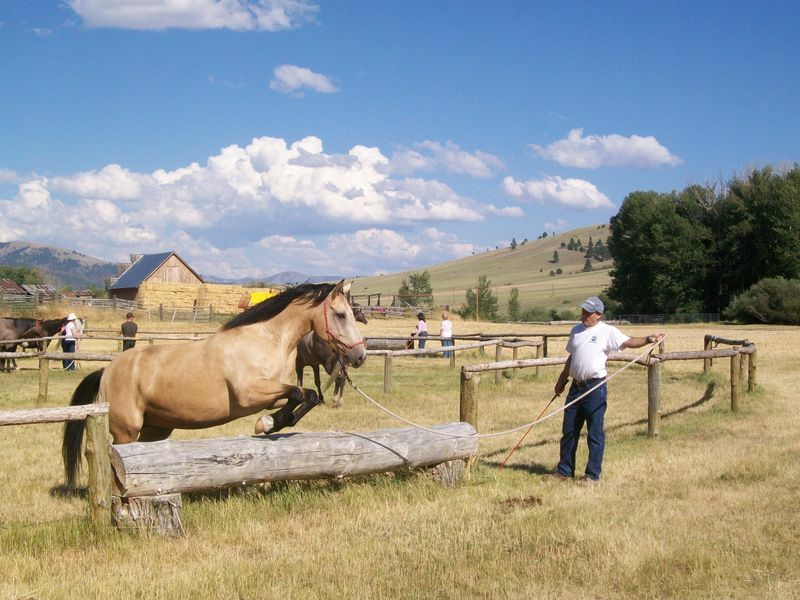 With this style, you will need to learn the rise and trot, or post to the trot, which involves a period of slight suspension for the rider during this bouncy gait, where the horse is moving from one pair of diagonal legs to the other. The comparative gait in Western riding, the jog, is slightly slower and doesn’t move the rider so much, thus allowing the rider to sit without posting. What’s best riding style for beginners? 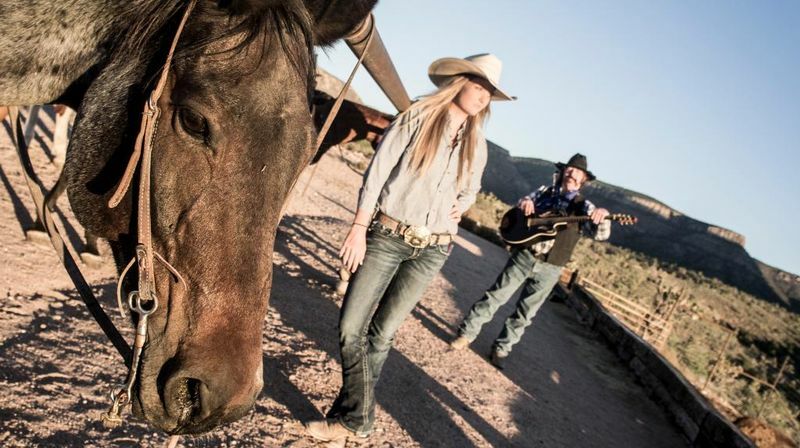 When it comes to what is easier, some say that if you ride English you can more easily transition to Western riding than the other way around. Why? English riding involves a bit more balance and coordination of the reins and legs, so riders may not feel immediately secure in the saddle. The larger Western saddle makes it easier for the beginner to sit comfortably and feel more secure. Both styles require practice, practice, and more practice to master, and neither is superior to the other. The riding style you choose will mostly depend on what you hope to achieve from your riding lessons, and what is more easily accessible. 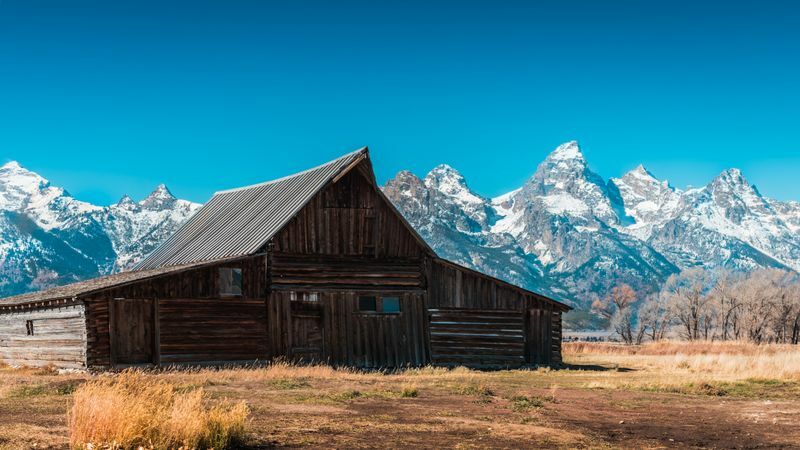 If you want to learn horse riding in the USA, it’s likely you’ll be learning Western style, but if show jumping is your thing, you’re going to be riding English. Whichever style you choose, a competent instructor will keep you safe and smiling in the saddle! 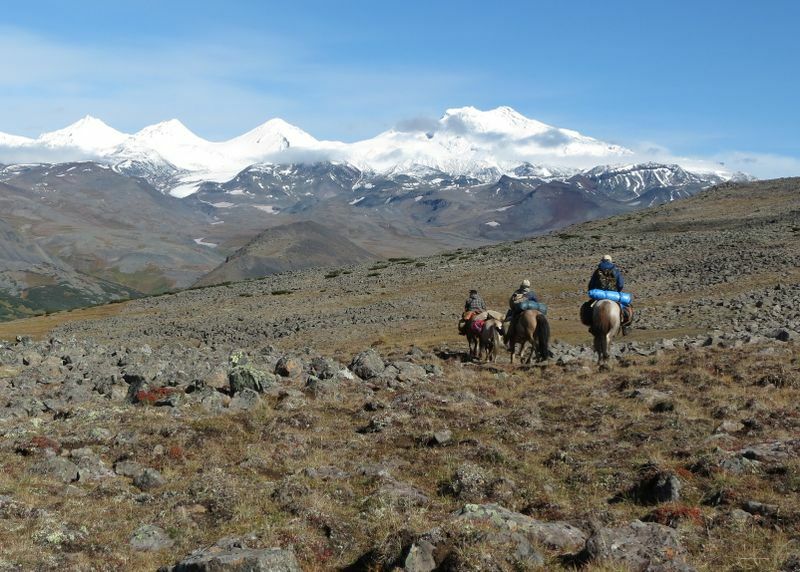 If you're still in need of a little inspiration or are seeking an equestrian getaway, these adventurous horse riding vacations will have you mastering the reins soon enough! Emma is the Category Manager for BookHorseRidingHolidays, and is a sports enthusiast who loves the outdoors. She grew up around horses and loves spending time out in the countryside.